Nowadays, most people are trying to be environmentally friendly in one way or another. They also want to save money whenever possible! 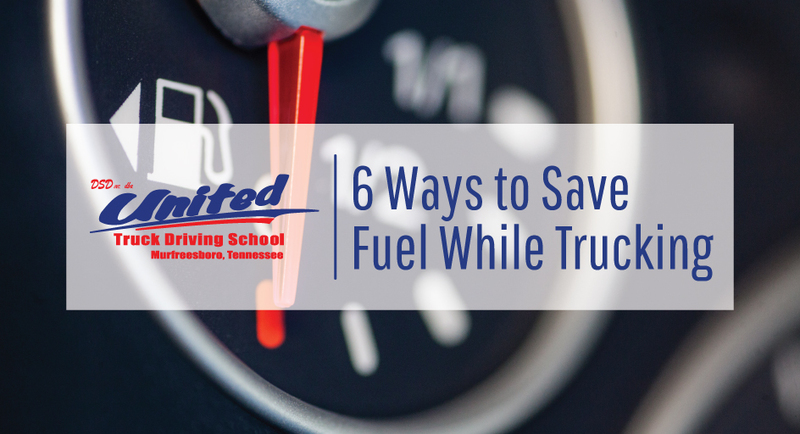 By following some of the tips outlined here, you can be a more fuel efficient truck driver, take care of your truck’s systems, and do your wallet a big favor. As a truck driver, this is something that you’re probably already doing (at least, you should be). While obviously important, did you know that monitoring traffic that’s up ahead can lead to being a more fuel efficient driver? Paying attention to breaking patterns and traffic speeds can allow you to avoid making unnecessary stops. This can lessen consumption because starting a truck from a complete standstill can often require a good amount of fuel. Speed limits are put in place for a reason. Not only are they present for the safety of drivers in relation to road conditions, but they also help with fuel efficiency, this being especially true for a truck driver. Remember that for every mile per hour over 65 you travel, you’ll be decreasing your truck’s fuel efficiency. When driving, allow for your truck to coast when it’s able. In some modern day vehicles, coasting won’t use any fuel at all. Coasting to a stop will also allow you to be gentler on the brakes as a driver, making for a well-maintained truck. Cruise control can keep your truck at a fuel efficient speed when you’re on a long trip. Don’t take this function for granted! As tempting as it may be – even if gas happens to be a great deal where you’re filling up – never top off your tank. It’s easy for fuel to overflow which is both wasteful and dangerous. Overfilling your tank has the potential to damage some of the technical aspects of your truck as well. Having tires that are in good condition can lead to more fuel efficient travel as well as an overall better experience on the road.